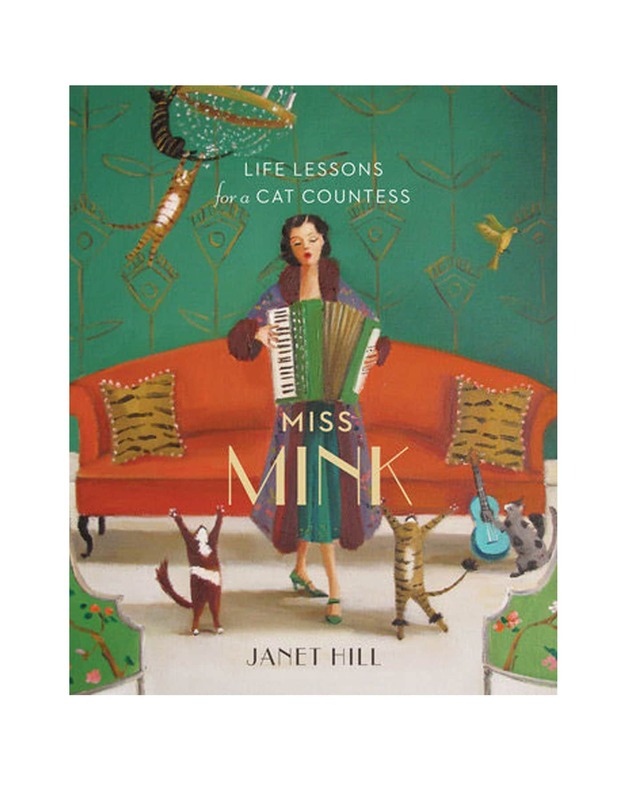 Miss Mink: Life Lessons for a Cat Countess. Signed Book. 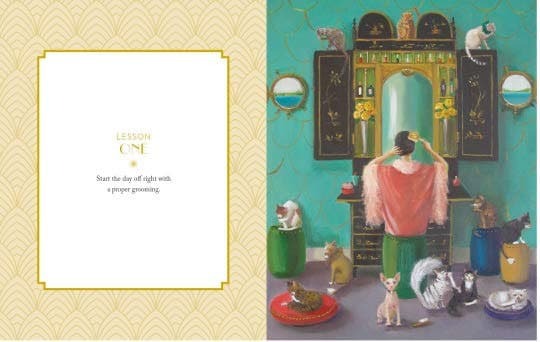 Miss Mink: Life Lessons for a Cat Countess. Children's Book. SIGNED COPY. Hardcover book. Size: 8.3" x 10.3"
Appropriate for children 4-8 years, as well as all cat lovers! Publisher: Tundra Books/ Penguin Random House Canada. 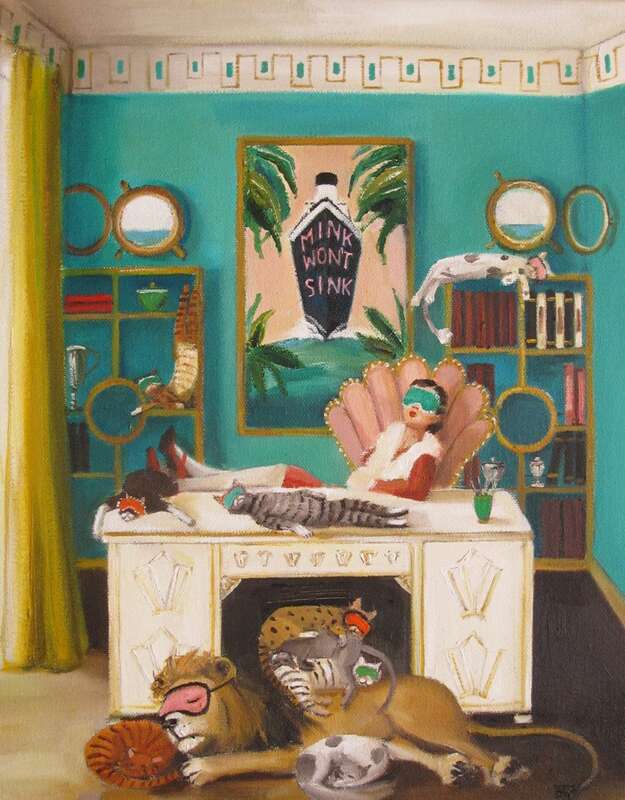 Miss Marcella Mink and sixty-seven of her favorite feline friends live happily in her big house by the sea. But there was a time when Miss Mink was not so happy. When Miss Mink created her own business -- a feline-friendly cruise company for cat lovers and their furry companions -- she found she no longer had time or energy for herself or her friends. 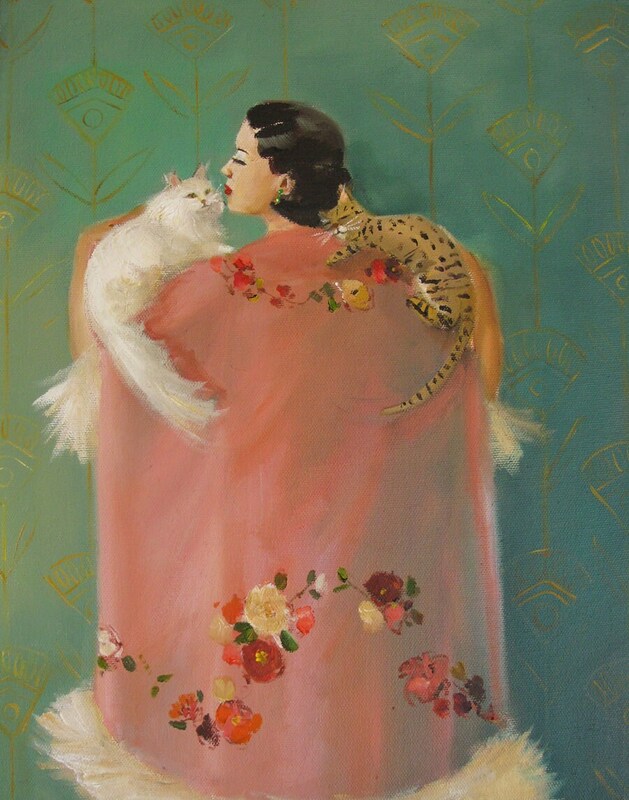 For advice she turned to her cats, who always seemed so happy, healthy, well-rounded, well-groomed and well-rested. It was not long before the Cat Countess was feeling shipshape again. Collected here are Miss Mink's twenty cat-approved lessons, from the benefits of a good grooming and an afternoon nap to valuable advice on friendship and diet.